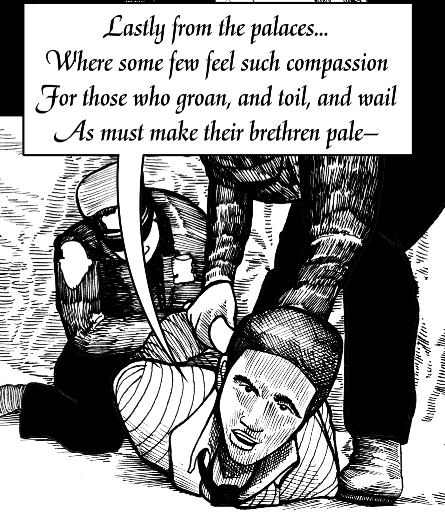 "Ye are many–they are few"
We present Percy Shelley's political poem The Masque of Anarchy, for our graphic non-fiction week. 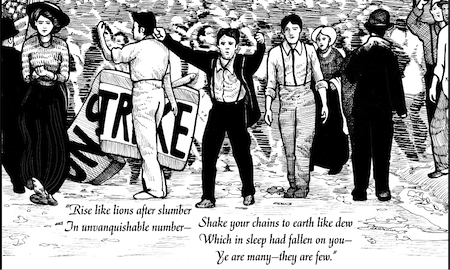 Written in 1819 after the Peterloo Massacre, where British cavalry charged peaceful political demonstrators near Manchester, the poem later inspired figures as wide-ranging as Henry David Thoreau and Mahatma Gandhi—and also Pauline Newman, the woman the New York Times called the “New Joan of Arc” in 1907. 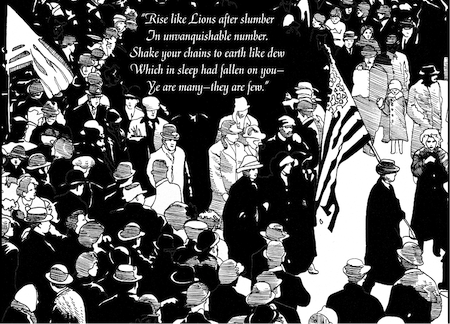 Interspersed with the poem are graphic illustrations from the book Masks of Anarchy, which is based on the poem and traces its influences from its conception in Italy and suppression in England to the moment it became a catalyst for protest among New York City workers a century later. And looked, -- but all was empty air. For others' misery or their own. Thine own echo -- Liberty! 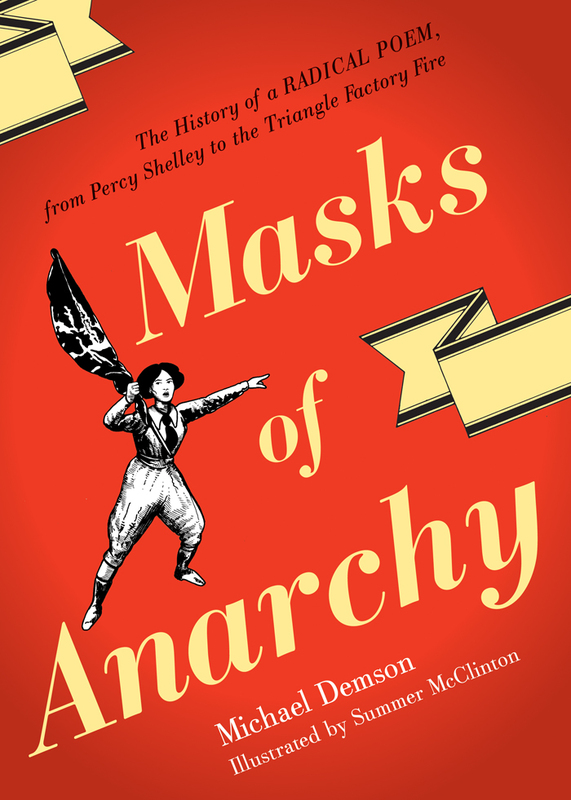 Masks of Anarchy is on 50% off till tomorrow, Sep 1. So are our other graphic non-ficiton titles. You can see the list of books on sale here.